For those who spend hours and hours in front of computers at work, muscle strains are way too common! Among a lot of such issues faced by professionals, Carpal Tunnel Syndrome is in first place, since it is caused by continuous use of regular computer mouse. In addition, there are various other issues, even up to an extent that you will just be unable to work. Nevertheless, ergonomic mouse is the best answer you have for this question of lack of comfort and stress issues. An ergonomic mouse has been optimally designed in such a way that muscle stress is lowest. The design is meant to provide healthy positioning of your arm and wrist so that muscles aren’t messed up. Also, once you get accustomed to ergonomic mouse scenario, you have some other advantages as well. Apart from the additional comfort, choosing such a mouse would increase productivity — some ergonomic mice come with additional buttons, which can be used for additional actions like web-browser control. In short, using an ergonomic mouse, you can not only preserve your health but also enhance productivity. But, you’d have to choose the best ergonomic mouse! To help you do that, we have a list of top ten ergonomic mice for avid PC users! We’ve chosen the products based on various factors such as design, productive features, user opinions etc. This is an impressive wireless mouse from Anker that doesn’t compromise comfort when using for longer periods. Its design is meant to provide a handshake position for both your arm and wrist, thus to minimize strain. You can select a sensitivity of 800, 1200 or 1600 DPI in the ergonomic mouse. Also, Anker uses Optical Tracking Technology to keep precision at top. The mouse has five buttons in total, two of which can be used for web-browser navigation. It does have another one for DPI selection as well. Additional two buttons won’t be functional when you’re using Mac OS X. Anker Wireless Vertical Ergonomic Mouse comes with an automatic power-saving mode, which gets activated when mouse isn’t used for eight minutes. Actually, wired version of this mouse is available for a comparatively lower price tag. It’s a right-hand-only version, by the way. An affordable product from Anker, this Full-Size Wireless Ergonomic Mouse will be less compact, but worth going for when you have all-the-round usage. The mouse uses Infrared technology for tracking so that you get the quite same experience regardless the surface you use it on. Also, DPI of Anker Full-Size Wireless Ergonomic Mouse is selectable from 1000, 1500 or 2000 DPI. Depending upon various needs — day-to-day gaming or professional stuff — you would be able to choose the convenient DPI. Just like the above mentioned product, Anker Full-Size Wireless Ergonomic Mouse has two extra buttons that can be used for various purposes like web browsing, apart from DPI selector. 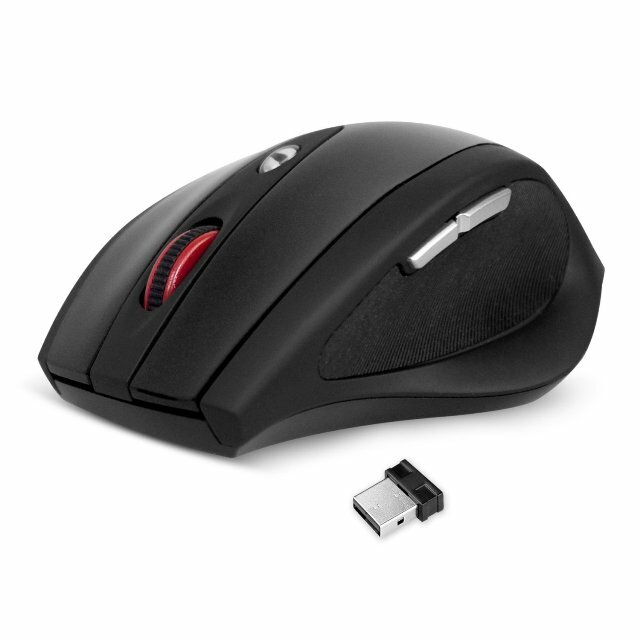 The mouse also has a soft-rubber grip and well-crafted body for enhanced comfort. VerticalMouse from Evoluent is the most suggested name when it comes to ergonomic mice! 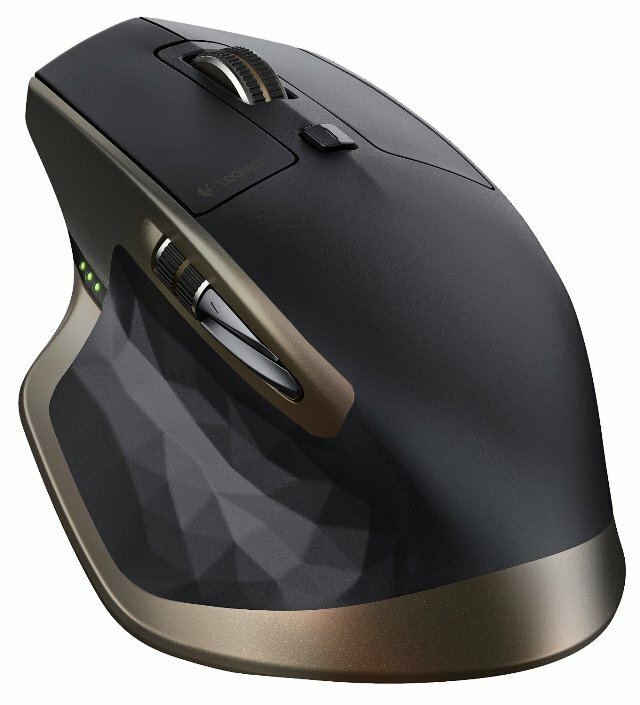 With unique design it’s having, Evoluent VerticalMouse 4 can give you a neutral arm positioning, which reduces the strain. When compared to other ergonomic mice out there, this one has additional features. For instance, there’s an improved thumb rest, a LED indicator to know the pointer speed etc. You can have four different levels of pointer speed and selecting one is as easy as clicking. Evoluent VerticalMouse 4 comes with two programmable buttons, for which you can assign wide variety of functions such as Back, Double Click, F2, Escape, Paste etc. This mouse is available in five colour variants. It needs to be noted that a left-hand version of Evoluent VerticalMouse 4 is also available. 3M Ergonomic Optical Mouse has a different design when compared to common ergonomic mice out there. 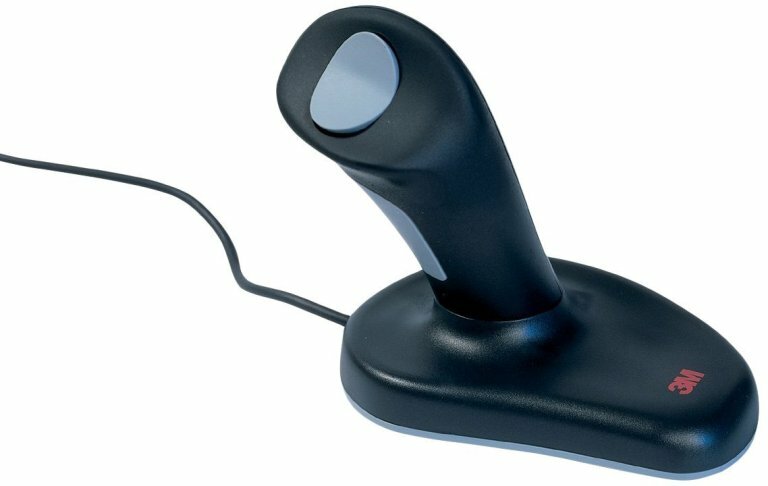 It looks more or less like a joystick, and that’s what is meant to be. 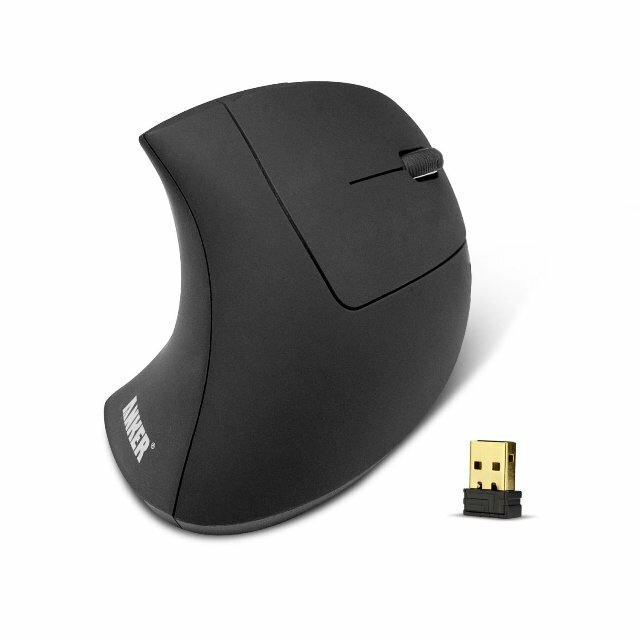 Arthritis Foundation has praised this mouse for the easy-to-use design of this wired mouse. The design is vertical and you can hold your hand safely in neutral angle, just like you’re holding an old joystick. After that, you can use the mouse, just like any other optical mouse. You have to use your thumbs for right click and left click — a thing that you’ll get used to in some time. 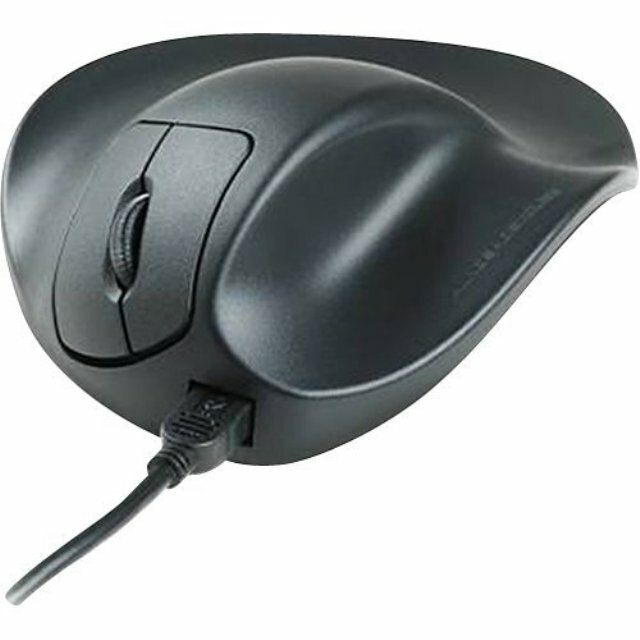 3M Ergonomic Optical Mouse has support for both PS2 and USB and the cable is 6.5ft long, giving you enough flexibility. By the way, this mouse is suitable for both right-hand and left-hand users out there. Logitech MX Master Wireless Mouse comes with a stunningly ergonomic design, even while offering a set of superb productivity-oriented features. While the Darkfield laser sensor improves precision of mouse — a precision that does work even on glass —, the charging process is quick, thanks to the included USB cable. The mouse makes use of one unique thumb wheel, which can be used for horizontal navigation as well as advanced gestures. By installing Logitech Options software, you will be able to customize different buttons for different purposes. Apart from the easy-to-use design it possesses, the mouse offers improved connectivity options as well. You can either use the unified wireless connection or Bluetooth Smart. In the former, however, you can connect up to three devices and switch between 3 easily. Hello, serious gaming folks out there! Here comes an ergonomically designed gaming mouse from Razer. Along with a truly convenient design, the mouse focuses on precision you get in terms of scrolling and selection. 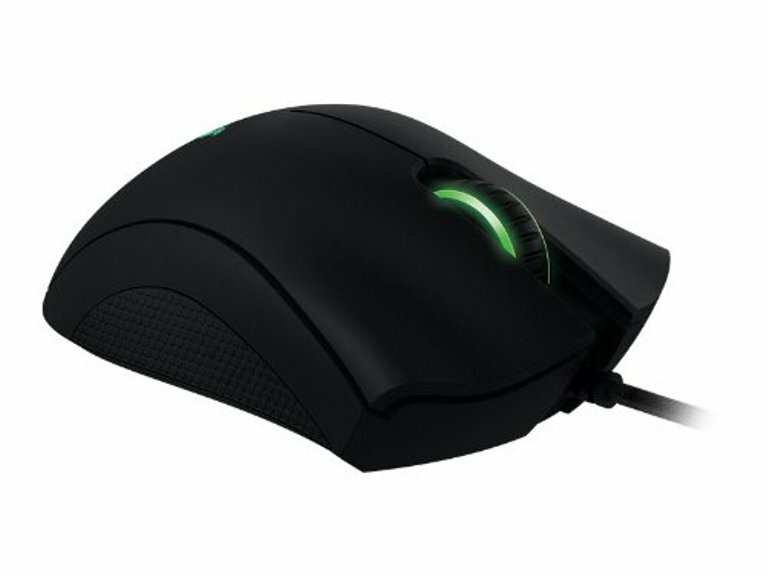 The mouse has made use of an optical sensor with a maximum DPI of 6400, and the rubber-sided grips are good. DeathAdder has added some features for advanced gaming. For instance, there is an option to limit z-axis tracking to just one millimeter. At the same time, you can make use of Razer Synapse, which is a solution for hardware configuration, accompanied by cloud support. There are five buttons on the mouse in total; it is possible to customize these buttons using the Razer Synapse 2.0 App you have to download. Altogether, this is one of the best ergonomic mice for serious gamers — more gaming, less stress, you know. It has a left-hand edition that is available for $60.53. Some users face muscle-based issues due to the consistent movement of arm as well, that is when you want to move your cursor. Logitech M570 Wireless Trackball is a perfect answer to that difficulty, as it’s an ergonomically-designed mouse you can use without moving. 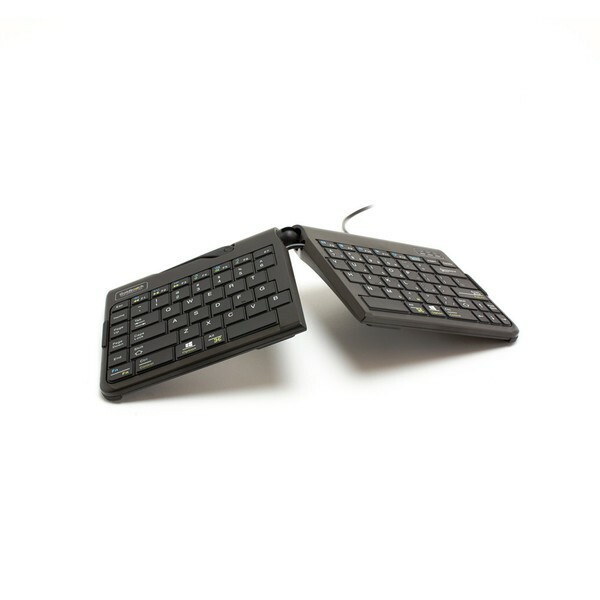 The device comes with in-built trackball, which can be used for moving cursor all around, even while your arm is steady. If you’re struggling with low space on your work desk, this mouse is the best option, not only because it doesn’t move but also it’s a compact footprint. Cursor speed can be adjusted according to your requirement, quite simply and the scroll wheel is also good. 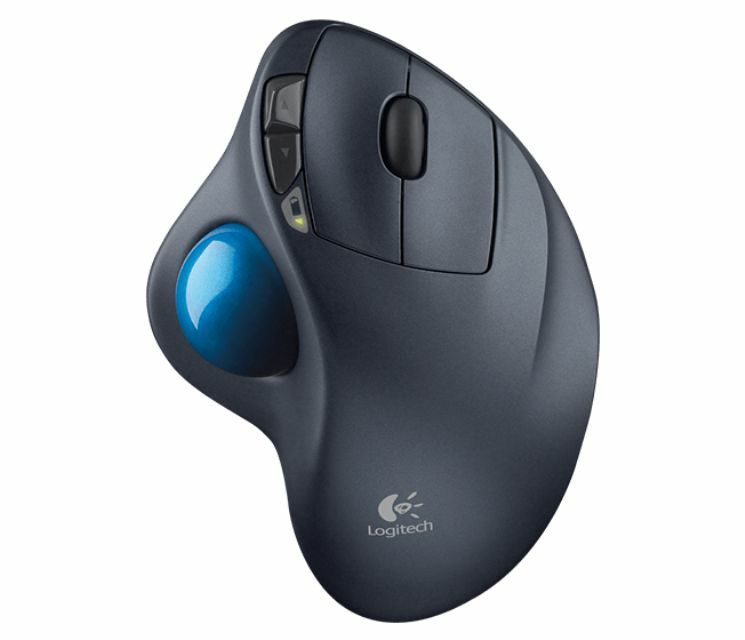 There are programmable buttons on Logitech M570 Wireless Trackball, to use which you need to install specific utility software from Logitech. By the way, it uses a Logitech Unified receiver too. Microsoft Sculpt Ergonomic Mouse has a design that’s way too good for wrist and arm comfort. 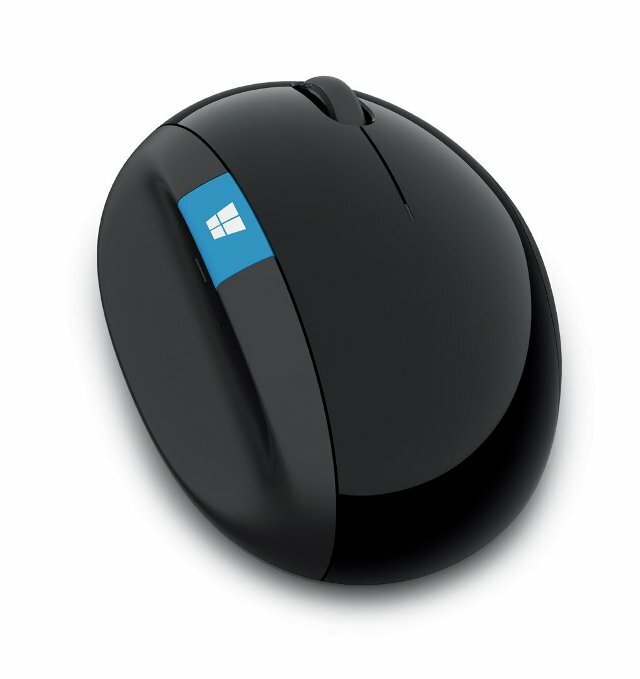 Being a product that is from Microsoft, this compactly-designed mouse is dedicated for Microsoft Windows environments. It comes with a Windows button, giving you direct access to the Start screen of your PC. Unlike the traditional mice, Microsoft Sculpt Ergonomic Mouse has a 4-way scroll wheel. This wheel can be used for four-way navigation, which is good from the usability point of view. It also has a back button, to be used when you are browsing web / navigation. It’s to be noted that Microsoft Sculpt Ergonomic Mouse has a smaller design than the other ergonomic mice, but it’s best for those who prefer a compact, low-stress companion. Thanks to its BlueTrack Technology, you can use the mouse on almost any surface. This mouse from Hippus takes ergonomics into a new level! 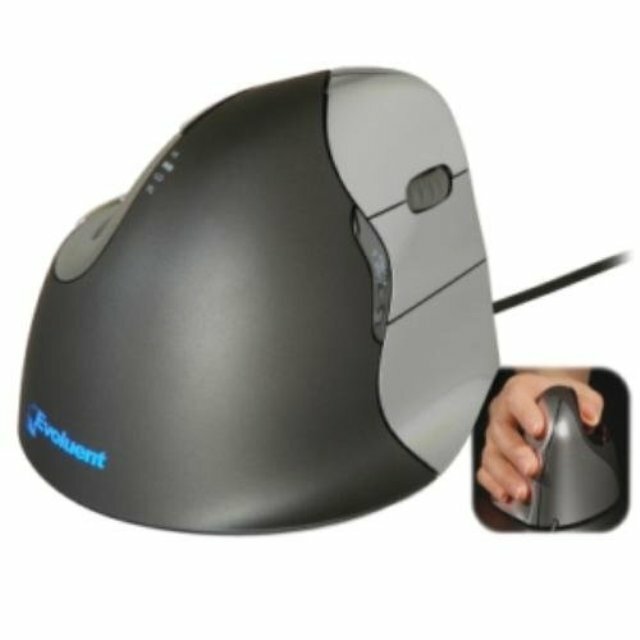 Just like the name says, it has a handshoe design; that is you can insert your hands into the mouse as if it is a glove. Once you are set, you can use the mouse with complete control and accuracy. The design is so ergonomic that you can always keep your hands in resting position, thus bring chances of RSI to lowest level. Hippus HandShoe Wired Ergonomic Mouse makes use of BlueRay Tracking technology that is so efficient to work even without a mouse mat. The mouse has different various versions available, such as its wired and wireless options. Also, for left-hand users, there’s a left-hand version of the ergonomic mouse available. It is more of an effective glove, we would say. As its name says, this mouse has been made with emphasis on performance and productivity. It comes with a bunch of impressive features. For instance, there’s a precise control of cursor regardless the type of surface you’re using it on, accompaniment of unified wireless receiver from Logitech for easier connection, rechargeable battery that’s very convenient to use, dedicated options for quicker scrolling etc. The best part is that you can connect this mouse to any device equipped with Logitech unified receiver. 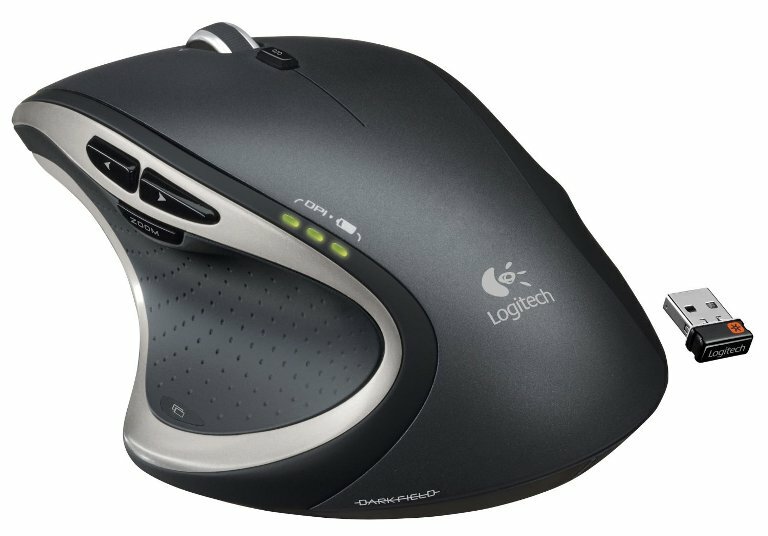 Logitech Wireless Performance Mouse MX has four buttons that can be programmed as per your requirement. These buttons will be useful when you are browsing web or involved in some tougher tasks. User-friendliness of the mouse is limited to right-hand users. So, there you go with our list of top ten ergonomic mice for all-the-time workers, who spend most of the time in front of PCs. We’ve tried to include both right-hand and left-hand friendly ergonomic mouse in our list. Which one among these mice do you prefer — and why?